Over the last one hundred years we have seen rapid technological change and all of it affects the way we work and live. So many of these technologies have become so central to the way we live now that we wonder how anyone ever got by without them. Hydroelectic turbines were used all over Nova Scotia to harness the power of rivers to power homes and factories. 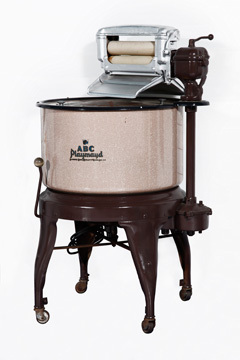 On the domestic front electricity transformed housework with electric water pumps, refrigerators and washing machines. Early computers filled whole rooms and had less computing power than the many small devices we carry with today like smart phones and MP3 players.